If you want to improve at chess, you must know the characteristics of typical P-formations and understanding them is the focus of GM Jorg Hickl's latest (published this year) book. 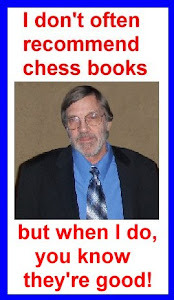 Better than Hans Kmoch's masterpiece, Pawn Power in Chess, Hickl's book is targets the average player and gives examples of hanging pawns, isolated pawns, backward pawns, passed pawns, doubled pawns, weak squares and pawn chains. Like Pachman's classic, Modern Chess Strategy, Hickl also includes three chapters showing the strengths and weakness of Rooks, Knights and Bishops. Unlike Pachman though, he does not include the Queen and King. This book is good for players in the 1500 to 1800 range. Or, it could also be used by those under 1500 if they are willing to put in some effort and those over 1800 if they want to review what they should already know.